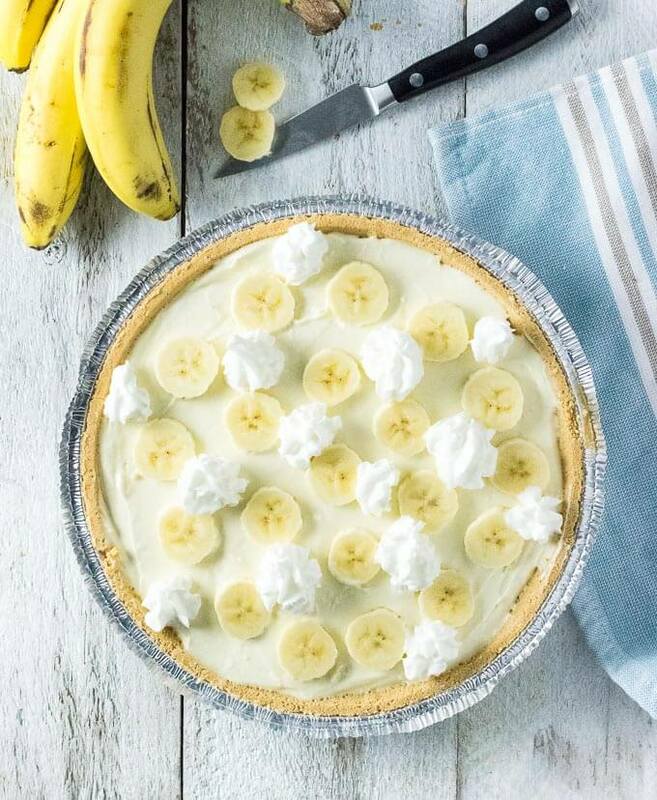 This easy no-bake banana pudding cheesecake is an effortless dessert that can be prepared in minutes with no cooking required. I literally dreamed up this recipe. Honestly. 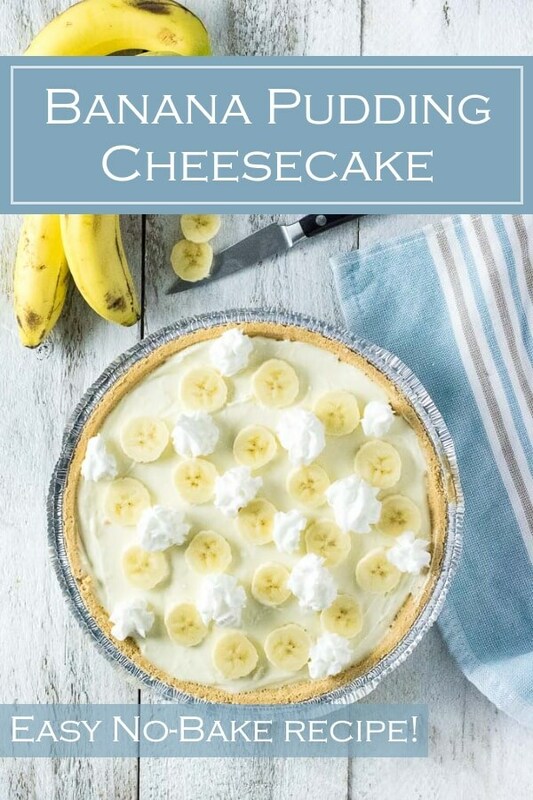 I didn’t know banana pudding cheesecake was even a thing until Saturday night, when sleeping silently in my bed, I dreamed I created a banana pudding cheesecake. My dream was so specific it even included the ingredients and quantities listed in the recipe below. So yeah, this recipe is so easy you can literally do it in your sleep! 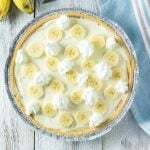 When I awoke Sunday morning the first thing I did was google banana pudding cheesecake, to my surprise, it is a fairly popular dessert that combines the creamy goodness of banana cream pie with the more sophisticated richness of cheesecake. Who knew?!? Well, I guess everyone but me, apparently. The recipe in my dream was an exceptionally simple no-bake cheesecake, anyone can do it. 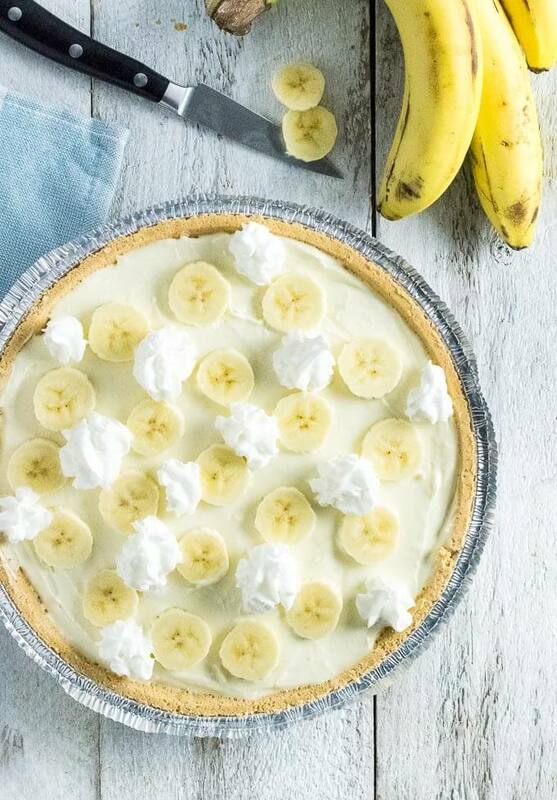 It utilizes Instant Banana Cream Pudding blended with cream cheese for the filling and is placed in a prepared graham cracker crustthat you can purchase at the store. I made two small changes to the ingredients I settled on in my dream. 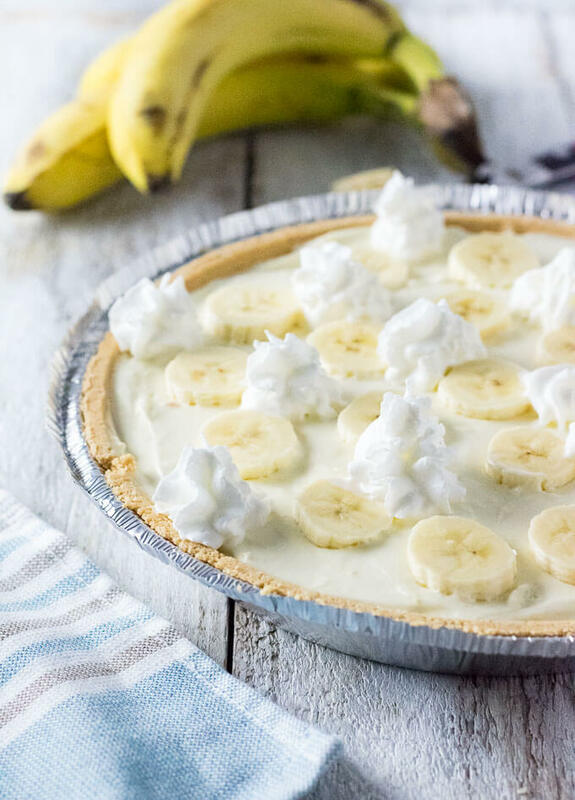 I used two blocks of cream cheese instead of one, which gives it a firmer texture, and rather than using milk to make the pudding, I switched to coconut milk because I love the flavor combination of bananas and milk. This is a great recipe to customize to fit your own tastes. As mentioned, I used coconut milk rather than traditional milk in the recipe, but there is no reason you cannot use milk instead. 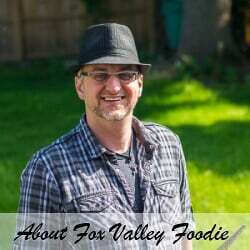 Other customization ideas include adding a splash of bourbon for an adult dessert, or changing out the pie crust with a prepared chocolate crust instead. You could even make this recipe with any other flavor of pudding as well. If you wish to enhance the classic flavor of cheesecake you can even add a splash of lemon juice, which gives cheesecake the slightly sour tanginess, and a bit of vanilla extract as well. As always, play around with the recipe and make it your own! Place cream cheese in microwave safe bowl and microwave until warmed and softened, or place unopened packages in hot water to soften while preparing pudding. Prepare pudding by adding coconut milk with banana cream pudding packet. Mix for two minutes, until smooth. Beat the cream cheese with a hand mixer to soften it and then begin adding pudding to the cream cheese a bit at a time, mixing to fully incorporate each batch of pudding before more is added. Add the cheesecake filling to the prepared pie crust and place in the refrigerator to chill and firm up. I recommend at least 4 hours, but overnight is best. Prior to serving, slice banana into medallions and place on top of cheesecake, slice and serve with whipped topping as desired. This recipe is made much easier when using a hand mixer. IF YOU LIKED THIS RECIPE check out my Butterfinger Pie recipe too!